Female entrepreneurs are growing exponentially but that doesn’t mean starting a new business venture won’t be tough. Pair that with having a family and being a parent and you have a whole new set of challenges. Balancing work and family isn’t easy, regardless of whether there’s a man or woman at the reins. But we spoke to Shannon McLaughlin, founder of Ubuntu Baba, who shared her secret to raising her family, all the while successfully growing her business into an empire. How do you feel about the term "mompreneur"? "I don't really like being referred to as a mompreneur, to be honest. Nobody calls men 'dadpreneurs' I was an entrepreneur long before I became a mother, but that doesn't mean I can't excel in both roles. "As soon as people hear the term 'mompreneur', they often discount it, like, ‘Oh she's a mom with a hobby business, good for her.' That might be true for some, and there is nothing wrong with a hobby business, but there are just as many successful female entrepreneurs who also happen to be moms." Do you have any tips for women wanting to start their own business? "Make sure you price your products correctly from the start. As women, it's our natural instinct to want to nurture and help others, so we often try to price our products so that they're in reach for our customers. We don't want to 'rip anyone off' by pricing them too high, but we don't consider that we have to make a profit from the product from day one, otherwise it's going to be very hard to build a sustainable long-term business. "If you're selling a great product or service, then the buying decision isn’t about the price, it’s about whether your customer can or can't live without your product." How did you get investors and the public to take your brand seriously before the copycat debacle? "I took it seriously myself. If you believe in your brand wholeheartedly it shows, and your team, your customers or potential investors, will feel that and the energy will spread. By being consistent with our social media, our blog posts, our newsletters, and just showing up every day and doing the work – people can see that you're doing something you truly care about." How do you see the future for working moms around the world? "The future for women in general is looking up! There is more support for women and mothers in the work place, but it's also up to women to speak up when they feel that a change is needed. If we don't use our voices then no one will hear us. "Entrepreneurial moms have such a great opportunity to make a change. As a mother myself, who employs other mothers, I have so much empathy for what they're going through. For example, when they have a sick kid it allows me to be human with them and bend the rules here and there when necessary, and they really appreciate that they are able to still hold a job and be a mother. "I think it's quite sad to see how some companies treat new moms, but again, these moms need to speak up and help make the change. "The reason that the world doesn't know how hard it is to be a mom and what we actually go through, physically and emotionally, is because society has been set up that way. Men would do the work, women would make the babies. "Now with the rise of feminism it's become, 'Oh, you want to be equal? Here's a full-time job, oh and here's a baby - now handle it all; get your body back, do your work and care for your family.' Not that we can't do it all, but in order to do it all (if we choose to), we require different working circumstances because, well, we grow humans." If you could change one thing for women everywhere, what would it be? "I'd make it the law that working moms be given at least 6 months of fully paid maternity leave." Do you have more time for your son running your own start-up than you would if you had a corporate job? "Hmmm, that's a toss-up. I've never had a corporate job so I can't really say. I have some friends who work corporate jobs who never see the light of day, and when they do, they're still on call. I suppose it depends on the type of corporate job you have and what company you work for. I don't think corporate is the devil, it's all about the culture of that company. "I make sure that I integrate my son into my working life, so I do spend a lot of time with him. I'm not 100% present a lot of the time because I may be busy working while he's playing, but I do make sure that I connect with him one-on-one every day for at least two to three hours on week days, and my weekends are all for him." How do you split your day between your son and your business? Any tips to make it easier for new mompreneurs? "I've given up on trying to split my days into work and family time – it just doesn't work for me. Now that he's at school, the majority of the work gets done then, but if he's home and I need to work, I'll often just set him up with an activity that I know he loves, and then I'll sit on the floor with my laptop and be there with him. Even if we don't talk, he knows I'm there and that's comforting for him. "When he was younger and used to sleep a lot, it was actually a lot easier. Because there were clear hours that he was awake, I would play and try and tire him out during that time. When he slept, I'd have three hours of silence to work so I wouldn't waste any time and I'd do what needed to be done. But once they hit the age of 3 or 4, there are no more daytime naps, so it becomes a lot tougher to do that. "Encouraging independent play is big, allowing your toddler to get bored can really work in your favour because eventually they'll get bored of getting bored and go and look for something to do – that's where the magic has happened for us. My son can now play for almost two hours on his own. "I read a lot of Janet Lansbury's books, as well as Montessori blogs from other moms. I love that way of thinking; helping to create an environment for toddlers to explore and find things to do and encouraging independence from a very young age. So if they need something to drink, they don't have to come and bother you, they take their little step and open the fridge, get the juice and pour it themselves. Of course, this means going through weeks of spilt juice on the floor, but eventually it pays off." 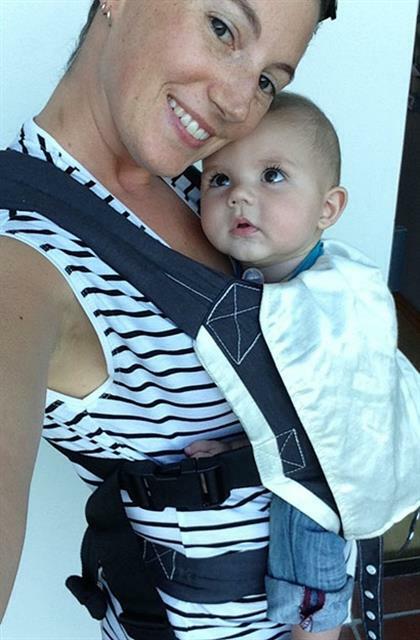 Shannon McLaughlin, her son and Ubuntu Baba's first ever baby carrier. Where do you fit in your me-time between prioritising family and business? "I get up early, usually 5am, and I do some yoga and a quick meditation. Then I have a cup of tea and listen to the birds in the early morning and just soak up the silence before the house wakes up. It makes such a difference to have that silent time for myself." Who is your support community? "I'm really blessed. I have so many people I can count on for support when I need it. Friends, family, my Kindle books, and groups I belong to. You have to create what you need to support yourself as an entrepreneur, but when it really comes down to it, I think that you need to be your biggest supporter – if you don't believe in yourself 110% you will struggle as an entrepreneur. "If you can celebrate all the tiniest of wins and look at mistakes as stepping stones rather than failures, then you'll start to enjoy the entrepreneurial journey more, and when you're happy doing what you love, people will support you." Are you a working mom? Do you run your own business? 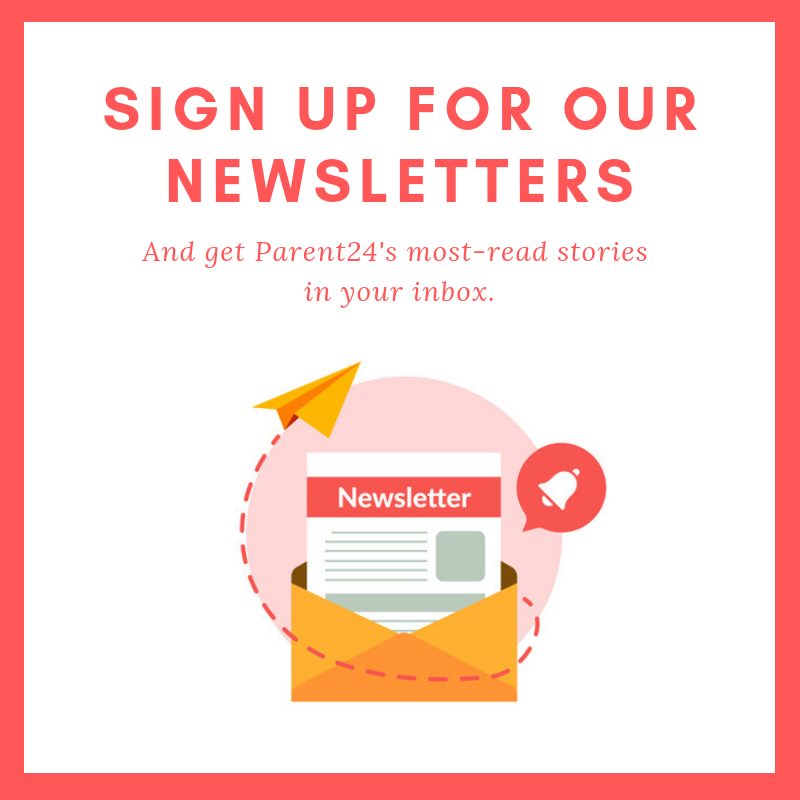 Share your story with us and we may publish it. It's 2019! What is "the motherhood penalty" and why does it even still exist? Working moms share their experiences: “I doubt work life balance and having it all is for the majority of moms"